GERMANY: A verification programme in Germany has found Zephir's turbine-mounted lidar is compliant with industry standard benchmarks. 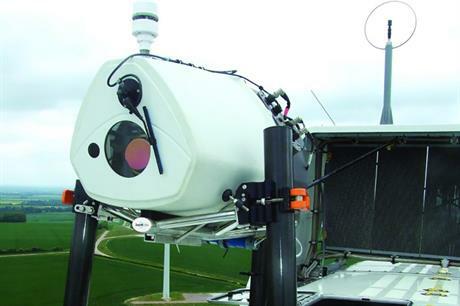 Zephir installed its DM lidar on a raised platform near two reference met masts at a wind project in northern Germany. Verification expert DNV GL carried our a number of tests of the lidar's measurements tools including availability and wind speed comparison to the met masts. "Zephir Lidar's nacelle-based wind profiler, Zephir DM, has been demonstrated to measure wind speed when mounted on a wind turbine at a very accurate level. "Additionally, the ZephIR DM offers the advantage of being mobile and scanning at up to several hundred metres ahead of the rotor in free stream wind flow for a power curve measurement," UK-firm Zephir said. The results from the verification process showed the product meets the requirements with best-practice guidelines developed in the EUDP UniTTe programmes "widely regarded and accepted as industry benchmarks for installations of turbine-mounted Remote Sensing Devices (RSDs)," Zephir said. In mid-July, experts speaking at an event hosted by fellow lidar supplier Leosphere said the data from the technology was becoming bankable. "Experience has taught us that the uncertainty levels offered by lidars are at least on par with those offered by met masts. "Although we still encounter performance misconceptions surrounding lidar technology, it is now hopefully a mere question of time before the industry as a whole recognises this technology, and IEC standards are adapted accordingly," said Dong Energy head of measurements Anders Thoft Marcussen. Do we still need met masts?